Ministry spokeswoman Hua Chunying said China "believes that Venezuela's affairs should be resolved by the Venezuelan people under the framework of its constitution and laws and through peaceful dialogue and political means. Beijing: China insists that peaceful dialogue and political means are the “only way” toward enduring peace in Venezuela, the Foreign Ministry said, adding that it backs multinational efforts to reach such an outcome. Hua said China “believes that Venezuela’s affairs should be resolved by the Venezuelan people under the framework of its constitution and laws and through peaceful dialogue and political means. Late last month, the ministry issued a statement in Hua’s name saying China “opposes external intervention in Venezuela,” in a rebuke to calls in the US for military action to remove Maduro. Over the last decade, China has given Venezuela USD 65 billion in loans, cash and investment. Venezuela owes more than USD 20 billion. 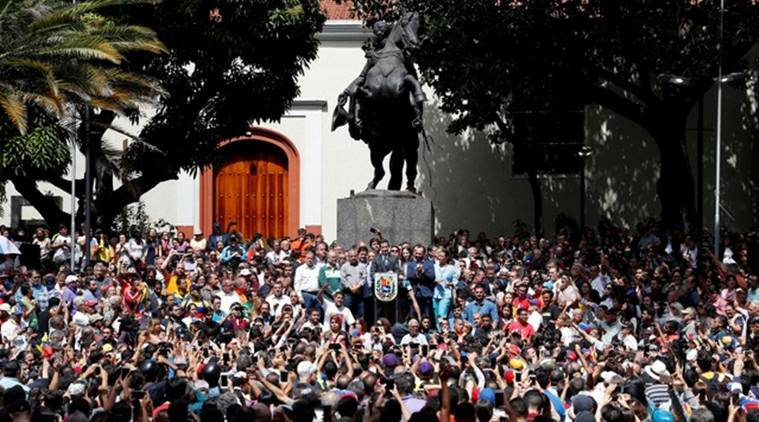 Two dozen nations, including the US and some of Latin America’s biggest countries, have recognised opposition leader Juan Guaido as Venezuela’s interim president, while China and Russia are backing Maduro.